I am Shikhar, a B-school grad working as a consultant (yawn!) in India. Traveling has always excited me and I always wanted to find out more about the world and experience it firsthand. Through this series, I’ll share some of my best experiences, some travel tips, budget tips, language tips, and more for backpacking across the surreal South America. This first blog covers my first destination – Brazil. This was my first international trip, so the excitement level was really high. In midst of thrill and anxiety, I really didn’t put much effort in learning the languages (Spanish and Portuguese). I took very few lessons in Spanish before leaving and just assumed Portuguese and Spanish are nearly the same (bad idea). Armed with ‘Lets wing it’ attitude and an assumption that I’ll survive with a Spanish pocket dictionary (bad idea 2), I took a plane to Brazil! Flight tickets to Brazil: Possibly one of the most expensive air tickets out of India. You would be lucky to find flight tickets costing anything less than INR 80,000 and it is not surprising why. It is on the other side of the world, it took me 20 hours of flying just to get there. I got my tickets with Qatar airways and booked it five months before I left! Brazil Visa: Visa is always a pain for Indian passport holders. Traveler tip: I would suggest getting the visa on our own instead through the agents as they couldn’t grasp the fact that I was traveling for seven months. As this was my first my first international trip and I had recently quit my job, the Brazilian embassy had serious doubts whether I will ever return to India! Bank statements with more than $3000 as the balance. Indian tourists can visit Brazil only 180 days in a year. Once you have stayed in Brazil for 6 months, you won’t be granted another visa till completion of one year i.e. one year from day of first entry. I was granted multiple entry visa valid for 90 days. Required for everyone traveling to South America or Africa. A traveler without Yellow fever vaccination wouldn’t be allowed to enter India and would be put into quarantine for a week. You can receive vaccination only in selected Government medical facilities in six cities (New Delhi, Mumbai, Goa, Chennai, Bangalore and Kolkata). Traveler tip: The vaccination shots are limited and the demand is high. So get yours early enough. One center can provide only 100 vaccinations in one week. Portuguese is the widely official language of Brazil. Spanish is a close second, though English is understood in many big cities. It is difficult to get around Brazil without any working knowledge of Portuguese or Spanish. My first of many communication breakdowns came just four days into my trip. This moment taught me the importance of knowing the language while traveling. 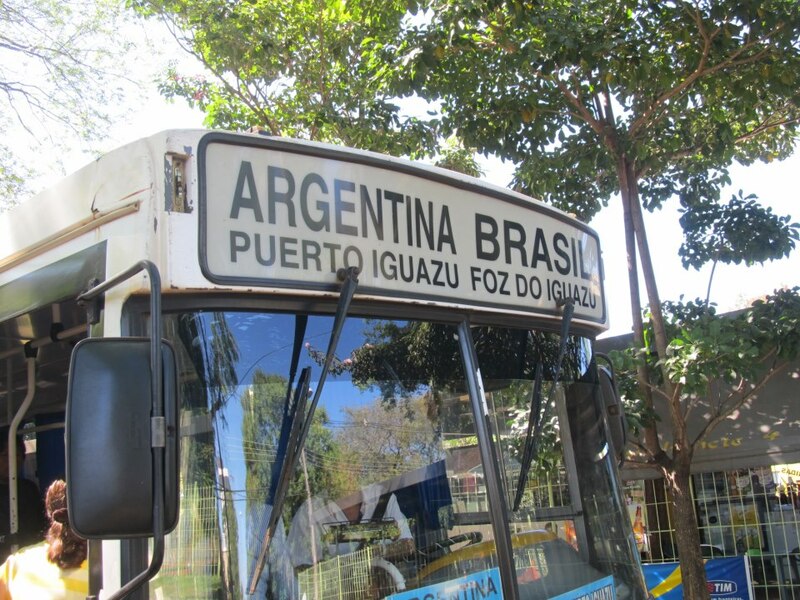 After spending two days in São Paulo, I decided to leave for Foz do Iguazu by bus. Being on a budget trip, I got the cheapest and the most uncomfortable seats money could buy. The seats were uncomfortable and the night was cold (Surprise, surprise Brazil can get really cold), I couldn’t sleep much. By the time I woke up in the morning, we had stopped at the bus terminal and everyone had disembarked. I got down from the bus to collect my bag and was surprised to find a sign board which said ‘Bem vinido ao Rodoviario’ (Welcome to Rodoviario). I was shocked. I was supposed to be in Foz do Iguazu and not Rodoviario. I came to a conclusion that I must have missed my stop and reached another city. I turned to the driver with my Spanish pocket dictionary and managed to conjure few Spanish words in my Indian accent. I turned to the Baggage handler who with a sad face just handed over my backpack to me. Dejected, I went inside the bus terminal. Turns out, the driver was right. 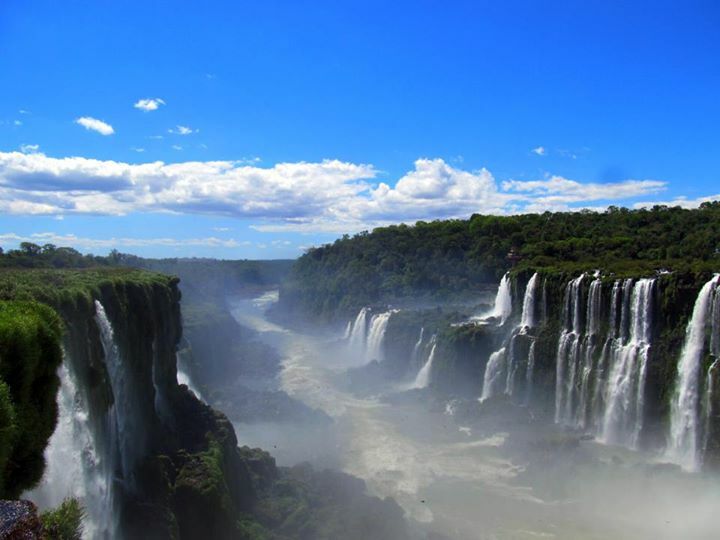 I was in Foz do Iguazu. In Portuguese, ‘Rodoviario’ means ‘The Bus Terminal’! Please get a working knowledge of Spanish before reaching South America. Phrasebooks will not help! And if Brazil is on your cards, learn Portuguese as well! People: Brazilians are certainly the friendliest people in the world. They are outgoing, warm and would reach out to you irrespective of the language barrier. Brazilians love tourists! Knowing the language will be a big plus! Food: Feijao and arroz ( Beans and rice) is the staple food in Brazil along with beef stake. In North-eastern part of the country, the cuisine is predominantly sea food. Brazil has a well maintained network of buses running domestically and internationally. Portuguesa Tiete bus terminal, in São Paulo, is the second largest bus terminal in the world, with connectivity to almost all places in Brazil and neighboring countries. Traveler tip: Brazil is big and traveling from one end to another end by bus takes at least two days. Booking airplane tickets a week before would be nearly the same price as that of the bus tickets. 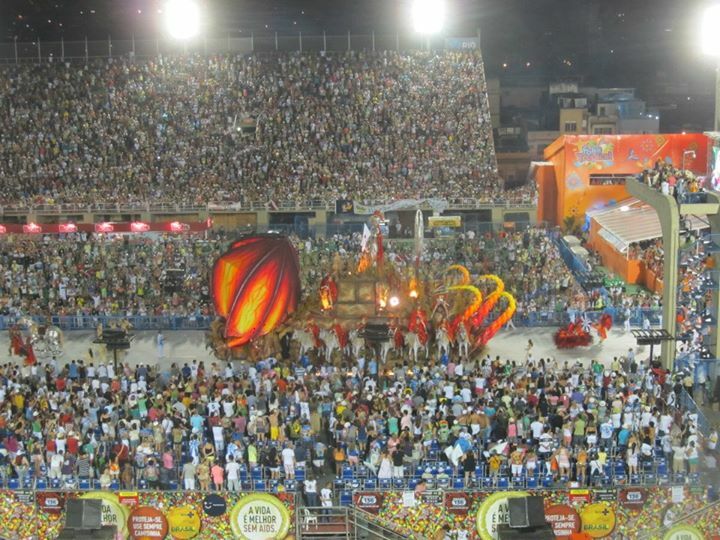 Therefore, travel by plane to far flung destinations in Brazil. São Paulo: The biggest city in the southern hemisphere has a lot to offer in terms of nightlife. This concrete jungle comes to life at night and parties go on till wee hours of the morning. 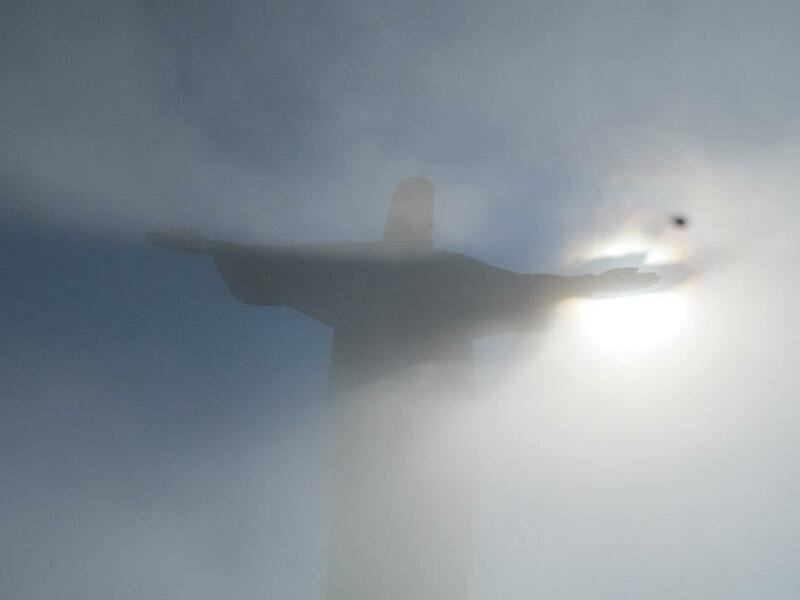 Rio de Janeiro: The gem of Brazil and a definite travel destination. There is so much to do in Rio that even after spending two weeks, I just couldn’t get enough of it. To-do: Water sports, play football, enjoy the beach and hang out with ‘Cariocas’ as natives of Rio affectionately call themselves. Florianopolis: Florianopolis a.k.a. Floripa is a beautiful Island in Atlantic near Brazilian coast. A party hub with amazing beaches and beautiful women. A must go! Ouro Preto: A former gold mining town during the Portuguese empire. Ouro Preto still preserves the old colonial Portuguese charm. Don’t forget to visit the abandoned gold mine (but well maintained) outside the city. The state of Minas Gerias was famous during the Brazilian gold rush, with Ouro Preto taking the centre stage. I would recommend visiting neighboring colonial mining towns Diamantina, Sao Joao del Rei and Tirandentes. Paraty: A beautiful coastal historic town surrounded by various national park. The town lies between São Paulo and Rio de Janeiro. Take a ferry from Paraty to Ilha Grande, a beautiful island in the Atlantic. Other destinations which I missed: Salvador, Pantanal, Manuas and Fortaleza.